Unsure of how to justify the business case for personalization? 35X return on investment. 39% increase in revenue per user. $15M in gross uplift. These are real results achieved by Dynamic Yield customers. 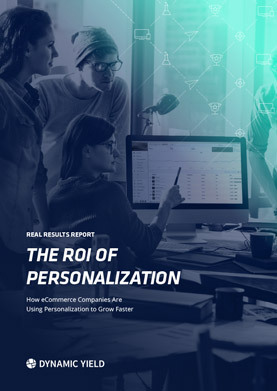 In this guide, you’ll learn how six eCommerce companies improved revenue, increased conversions, and reduced cart abandonment by leveraging the tools in Dynamic Yield’s personalization stack. Get your free copy of this eBook by filling out the form.